Wilmslow and District Amateur Swimming Club (also known as Wilmslow Scorpions) is a successful, competitive club that promotes community participation in the sport of swimming. Our main focus is on competitive swimming but we accommodate all ages and abilities and welcome everyone with an interest in the sport where spaces allow. The club is divided into four sections, Transition Juniors, Junior Squad, Intermediate Squad and Senior Squad, for children who are at stage 8 or above. 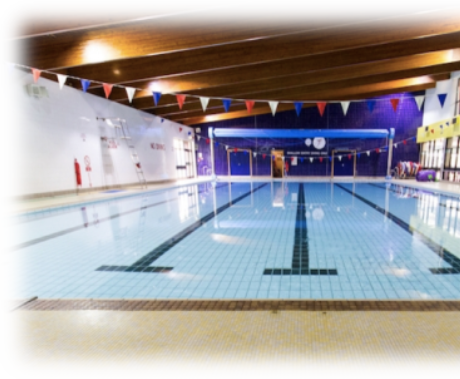 We train in a 25 meter pool based at Wilmslow Leisure Centre, 3 days a week. Looking to join Wilmslow Scorpions? Children wishing to join are asked to register for a trial where their abilities and potential are assessed. If selected, they are invited to join a Squad. See the 'New Members Information' section for details of where & when we swim. If you already swim for another competitive swimming club, and would also like to be part of the Scorpion Family, so you can swim with friends locally, then get in touch to discuss options. Have a look at our comprehensive 'New Members Information' page. To apply for a swimming trial, please fill in the 'Registration form' from the drop down list under the "Club" section above, and the Membership Secretary will get back to you as soon as possible. From 12th November 2018 the leisure centre will be conducting essential air ventilation in the pool hall and plant room works as part of its investment plans into the centre. Background to the squad, descriptions of the squad, how to join and a summary of the North Mids Gala.